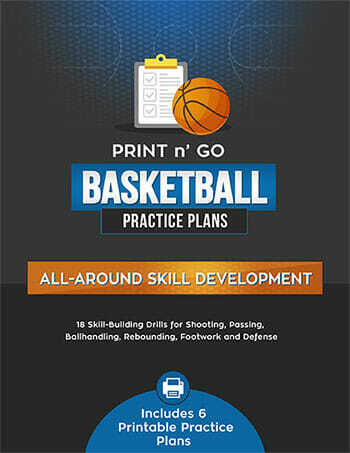 Today’s post is going to focus on basketball drills that will help your players to be quicker on their feet. This first drill that we’ll be doing at the defensive end of the court is our lane slides. The focus of this drill is to see how many lines a player can touch in just thirty seconds. You’ll find that your players will get into the competitive spirit of the game with this drill. You’ll notice that your players who begin to go up and down instead of staying low aren’t going to do as well with this drill as those players who stay low. Learning the correct stance is key to succeeding at this basketball drill–and to getting fast feet! The mirror drill focuses quite a bit on anticipation and change of direction. This drill has your players follow another player one-on-one, just as if your player would be mirroring him. Both of your players are in the low, defensive type of position; however, one player takes on the offensive role and the other player’s goal is to do his best to shadow the offensive player. The second part of this drill is we call our dog step, which means that we’re not going to be able to always stay in a shuffle stance. We’re just staying with that offensive player like a good dog would on a paper route boy, looking at that leg to get a bite every time he comes around on the pedal. Defensive players, remember to stay low! 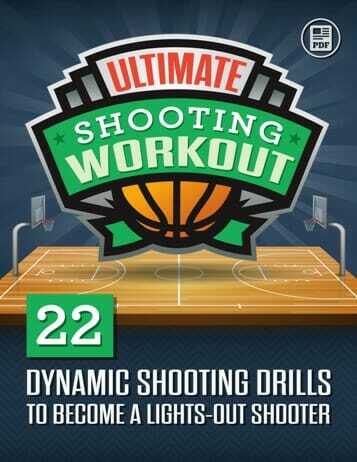 This final drill is the one-on-one kick the can basketball drill. So many times, the ball monopolizes people’s attention so that when a one-on-one player makes a move with the ball, even before he even puts it on the floor with a dribble, defensive players tend to go sideways. We say on any fake you should just back up a step because what you’re guarding is the basket. The only way a person could really play kick the can wisely, if he was defending the can, is to stay between the person that’s trying to get to the can (or the ball, in this case) and the can (or ball) itself. This drill reinforces the fact that your players should always stay between their man and the basket. 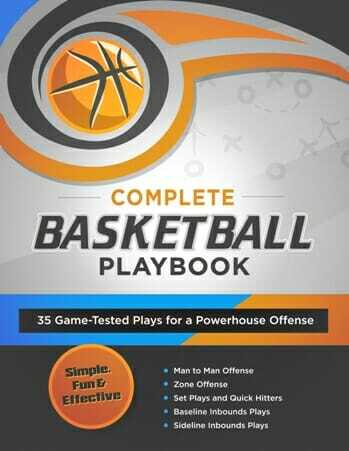 These defensive basketball drills are essential because every player on your team has to be able to play defense. Every player has to be able to guard. What do you think? Will these defensive drills help your players become stronger when it comes to playing defense?